Another year has passed, another adventure is behind us - thanks to all of you for being a part of it! This year was amazing - new Rebelle version was released in April and our new addition to the software family - Inspirit - was born later. Thanks to everyone for your support! Honestly, we could not ask for more. 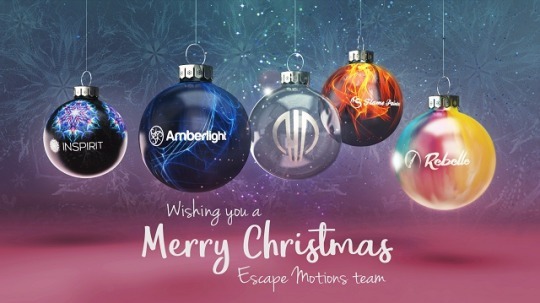 From everyone here at Escape Motions we wish you the most beautiful and blessed Christmas season filled with love, happiness and laughter and a Happy New Year 2018! May you spend this wonderful time of the year with your family and loved ones.